If you forget to punch in or out you can add your time to your time card later, but that time has to be approved. 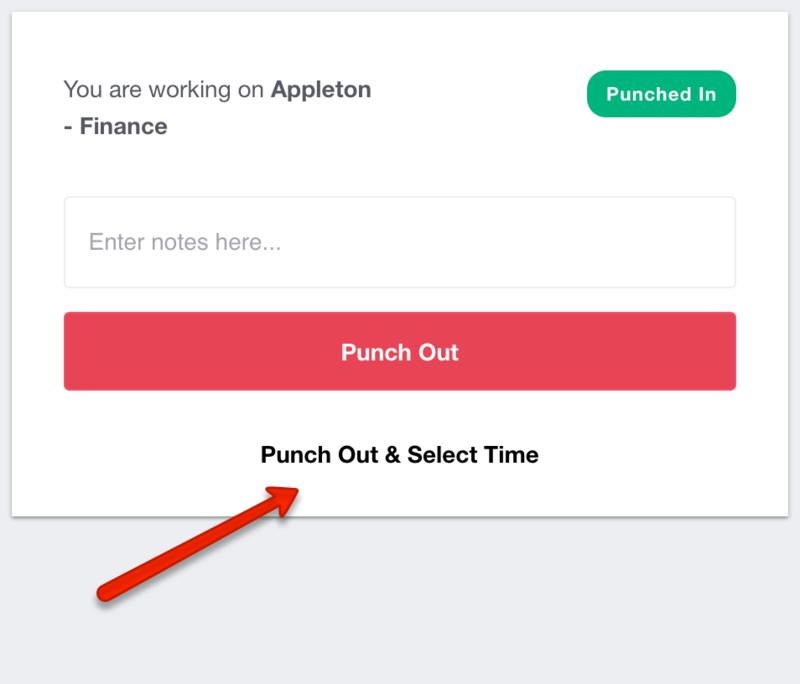 As an employee or manager, if you need change a current punch time (a time not yet recorded), click on the Punch and Edit Time button. This will allow you to specify a time to a current punch. Once you've clicked the "Edit" button you'll see your current time card, and you'll see an "Edit" button next to each time. Click it to request an edit. Depending on your settings, your manager or administrator may have to approve any changes.